EaZy Electrical has delivered great service with our celebrated flat-rate pricing consistantly, year after year for Rydal, GA.
Read our customer reviews in Rydal, GA, and see how as local electricians we continue to be equated with quality and EaZy service. Electrician near me in Rydal GA, is repairing an electrical shortage, EaZy Electrical Services offers the best electrical repairs around! Electricians are installing a new circuit, EaZy Electrical Services is your number one electrician near me. Here at EaZy Electrical Services are experts in installing power to out buildings and barns, call today and schedule a subpanel installation. Certified Electricians specialize in electrical upgrades. Electrician is making electrical corrections in home. Electrician is installing GFCI protection per hone inspectors request. Certified electrician is repairing power issues. 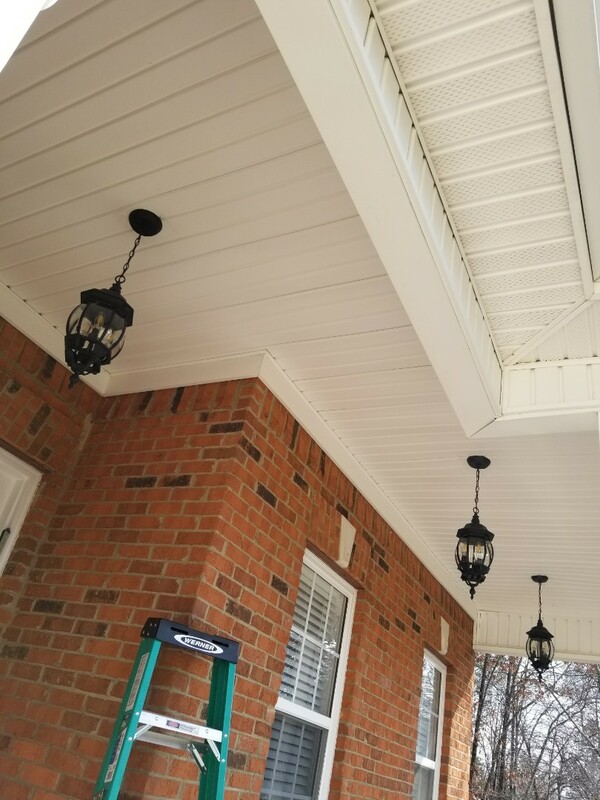 Installing new Customer supplied LED porch light fixtures.